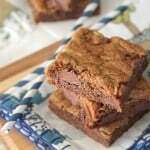 My Brown Butter Gingersnap Chocolate Chip Cookie Bars make the best Christmas cookies for Holiday baking! 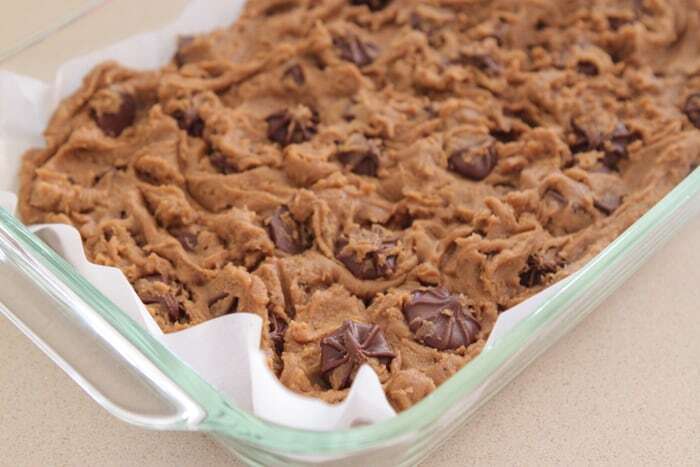 Hope you enjoy these flavor packed cookie bars! Making Christmas cookies this time of year is such a fun tradition. You won’t be sorry adding these soft, perfectly spiced cookie bars to your baking list this year. I’ve got step by step photos on How To Brown Butter, so no worries if this is your first time. It’s simple with my tips. 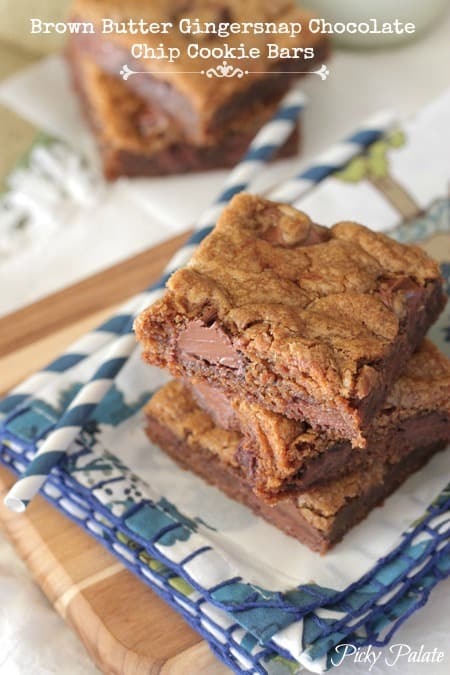 Festive soft gingersnap flavors meet chewy chocolate chip cookie bars. You don’t want to miss this recipe! Enjoy! To start, add the sugars to a large mixing bowl. See my post for full instructions on how to brown butter. Add the cooled brown butter to the sugars. Mix well then add the eggs and vanilla. Time for your dry ingredients. Give a good mix. If your grocery store doesn’t sell these fun chocolate stars, chocolate chips will do just fine 🙂 My Target has these during the Holidays, score! I love the big bite of chocolate the stars bring to the bars. Transfer your dough to a parchment lined 9×13-inch baking dish. Now, they’re ready for the oven. Bake at 350 degrees F. for about 30 minutes, until cooked through, then let cool before cutting into squares. 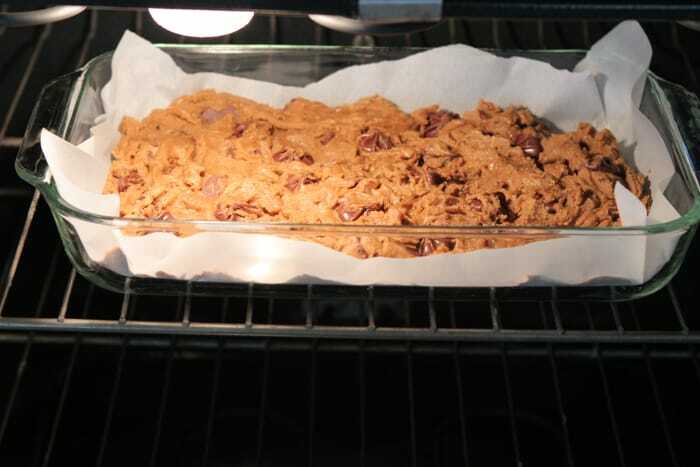 Preheat oven to 350 degrees F. and line a 9x13 inch baking dish with parchment paper. Melt butter in medium saucepan and let cook/bubble until browned and golden. Remove from heat and let cool for 15 minutes. 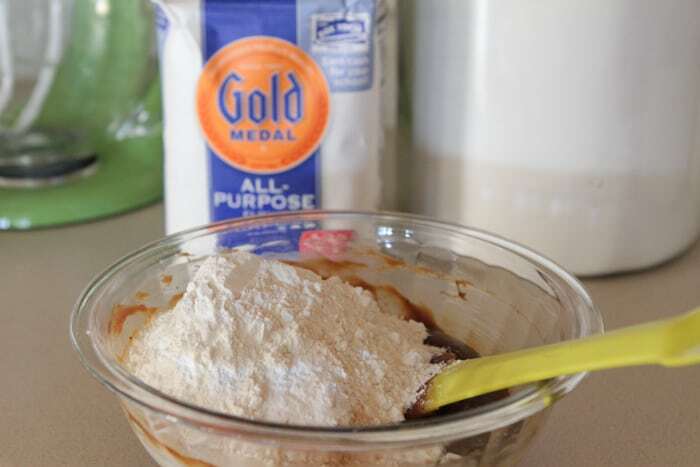 Place browned butter and sugars into a large mixing bowl or stand mixer. 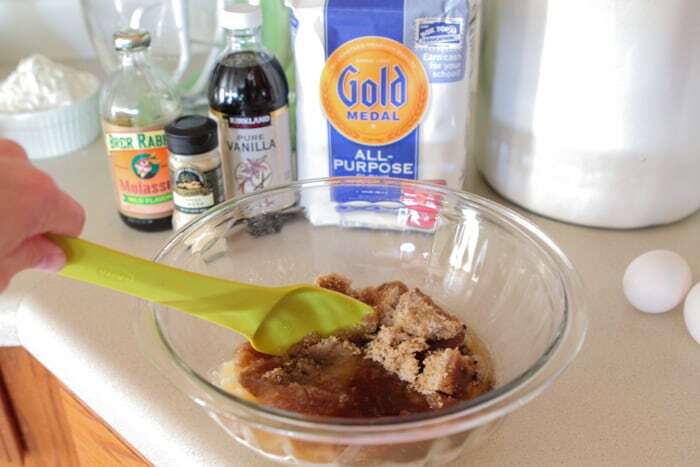 Beat until combined then add eggs, molasses and vanilla, mixing until well combined. 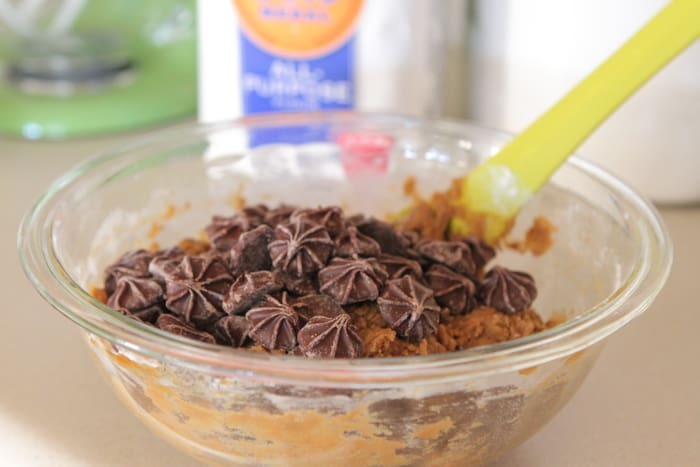 Slowly stir in all purpose flour, baking soda, salt, ginger and chocolate stars or chips. Stir until combined then transfer to prepared baking dish spreading evenly. Bake for 30-33 minutes, or until baked through. Let cool for 30-60 minutes before cutting into squares. Serve room temperature or chilled. This is a sponsored post for Gold Medal Flour however thoughts and opinions are my own. Oh wow, these sound delicious! And I’ve never seen those chocolate stars before – so cute. 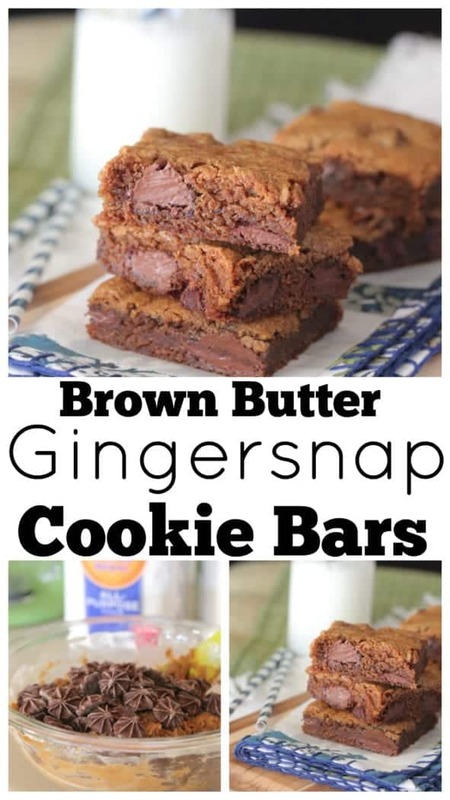 Love the gingersnap and chocolate combo here! 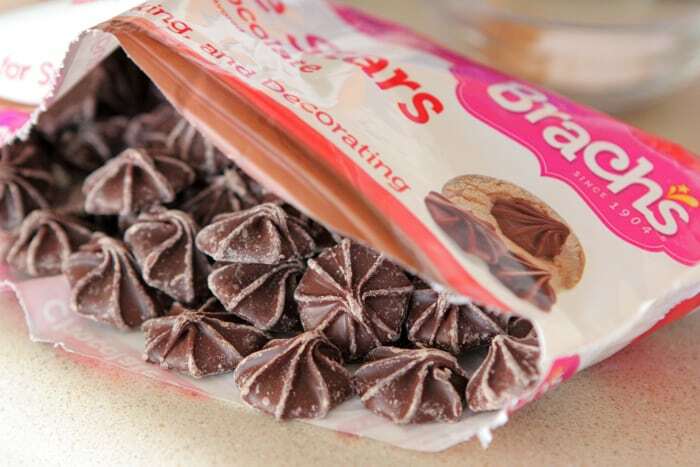 I love those chocolate stars! These look out of control! Oh my! The gingersnap and brown butter and chocolate combo is making my heart flutter! Love those chocolate stars on the top! Awesome recipe! I CANT wait to try this! I love the brown butter and gingersnap combination. 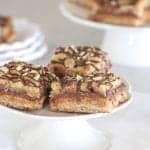 The cookie bars are amazing and who wouldn’t love a big bite of a chocolate star. LOVE the puddles of chocolate! 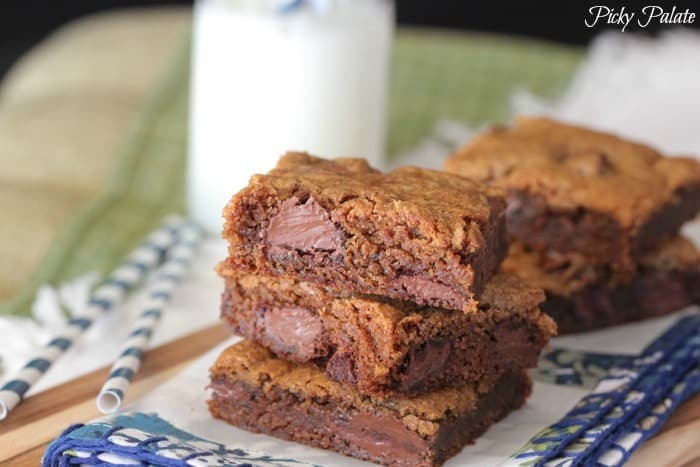 When I saw your pic on IG of the ingredients, I knew you’d do gingerbread chocolate chunk something, but these far surpassed my expectations! Beautiful! Yum! Jenny…. I wish you were my next door neighbor! Oh my chocolate STARS, Jenny!! LOVE the look of these! Cookies are the best part of the holidays! These sound right up my alley! These look so delicious! Have to try this recipe. 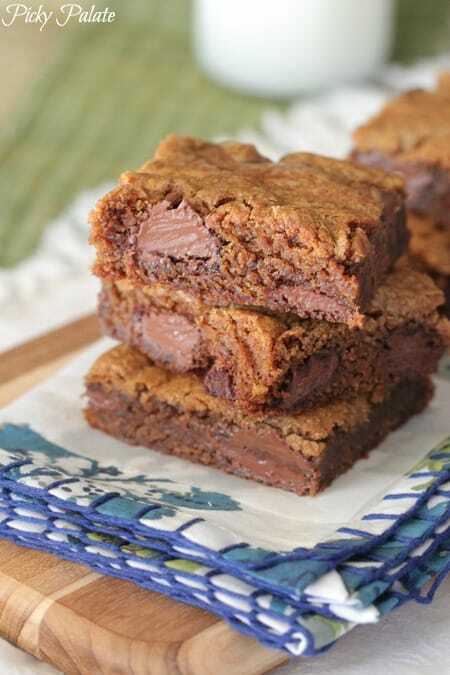 These cookie bars are among the best I’ve ever had. I’m adding this to my Christmas and New Year list. These look divine! Yummy! I shared this recipe on FB! Hi there! Made this dough tonight – it tastes delish! I want to make it a cookie though, is that possible? Do I have to change the recipe at all? These were way too rich for us. They might be good for a cookie exchange or having at a holiday party, but one pan was way too much for our household. I loved these bars! I typically don’t care for gingerbread type cookies, but these were delicious!! I did use dark chocolate chunks instead of the chocolate stars and I really liked how the flavors worked together.Thank you for sharing!! So glad you enjoyed them Kathy! Thanks for the feedback! Look great; however, what is the exact measurement of 2 sticks butter? Would that be equivalent to 1/2 cup butter or is it more than that? Looking forward to trying this recipe!